This Albana comes from Cantine Intesa, a member of a large group of fruit, vegetable and grape growers. This cooperative, Agrintesa, is located in an important agricultural area in the eastern part of Emilia-Romagna. 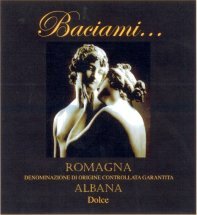 In Italian, "Baciami" means "Kiss me" and what could be more appropriate than the "kiss" of this sweet little wine, a wine that has quite a history. 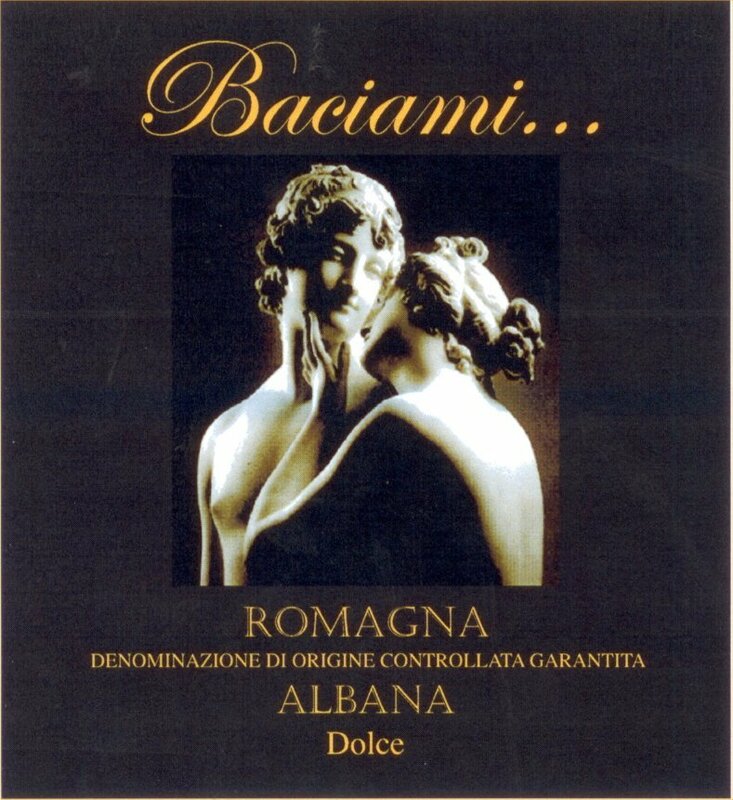 According to the story, when the Roman Princess Galla Placida first tasted this in AD 382, she declared that this wine was so smooth it "should be drunk in gold." But that was then. So we'd say: if you don't have a gold cup to drink it in, don't worry - a simple wine glass will do just as well! Tasting notes: The perfect match to the Cagnina, sweet but not sticky with pleasing ripe fruit, aromas and flavors. Vinification Technique: Cold maceration on the skin (4-6º C) Soft pressing. Cold fermentation (12-14º C) . Maturation: 7 month maturation in little steel tanks with frequent lees stirring. Then, a further 2-month aging in bottles.